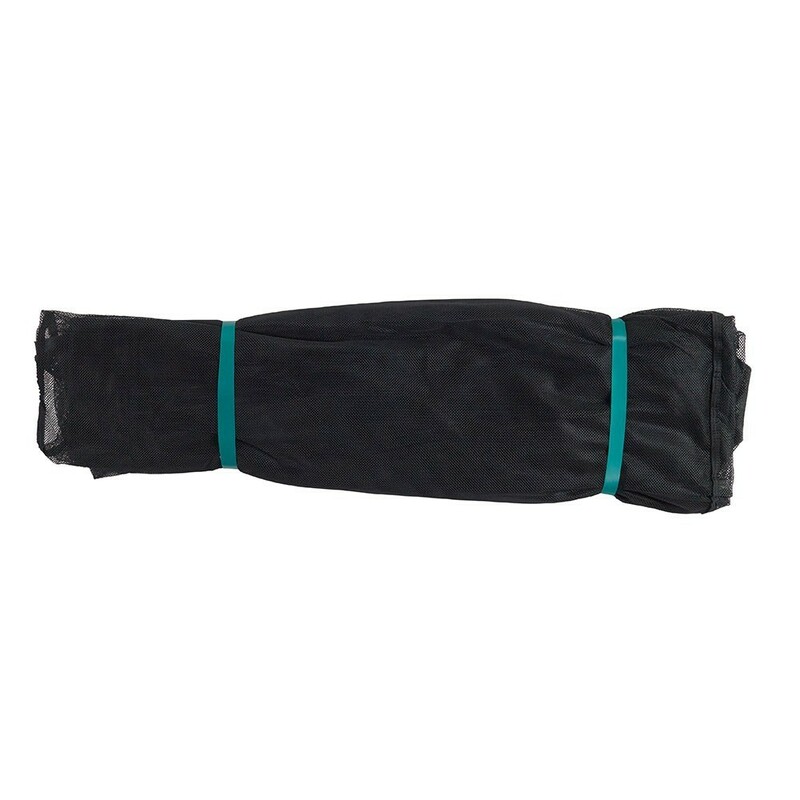 Premium safety net for 15ft/4.60 m trampoline with 10 posts. 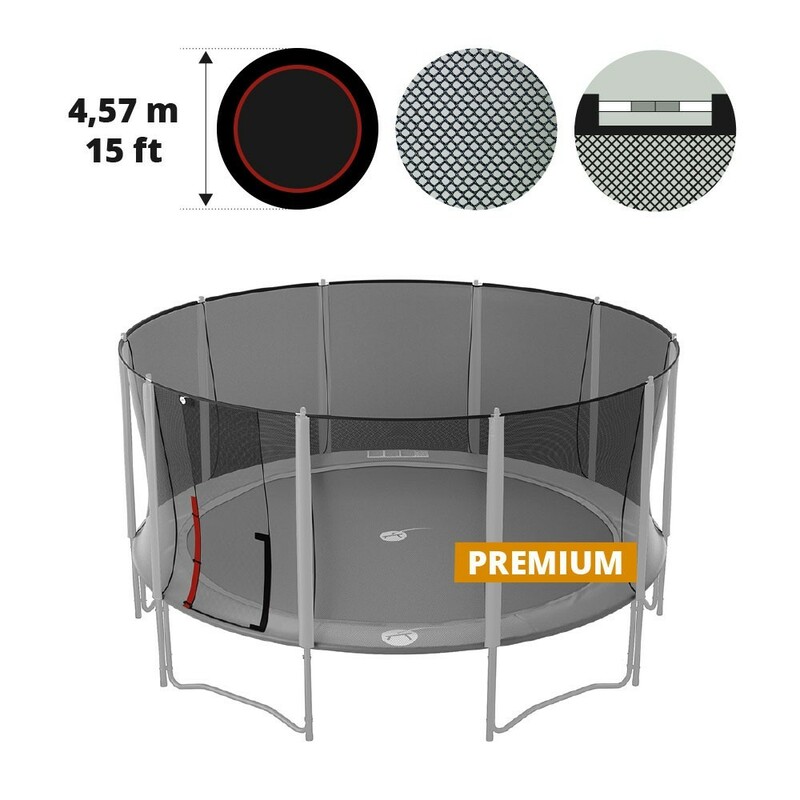 Does your round 460 trampoline net need changing? 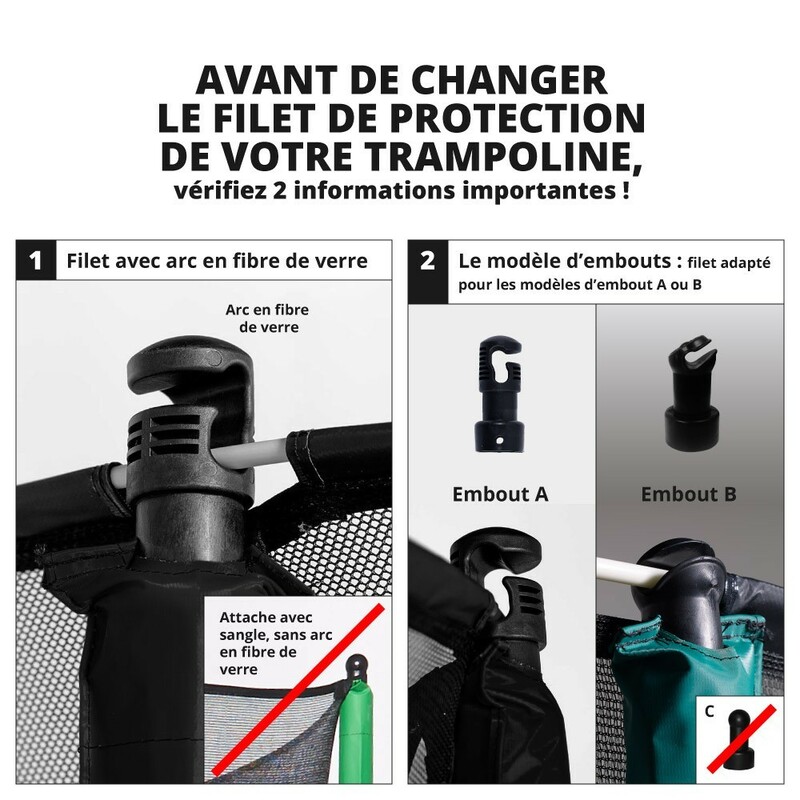 France Trampoline offers this premium safety net for all round trampolines with a 4.6m diameter that are provided with 10 posts. Only change the damaged parts thanks to this premium safety net sold separately! - Round trampoline with a 4.6m/16ft. 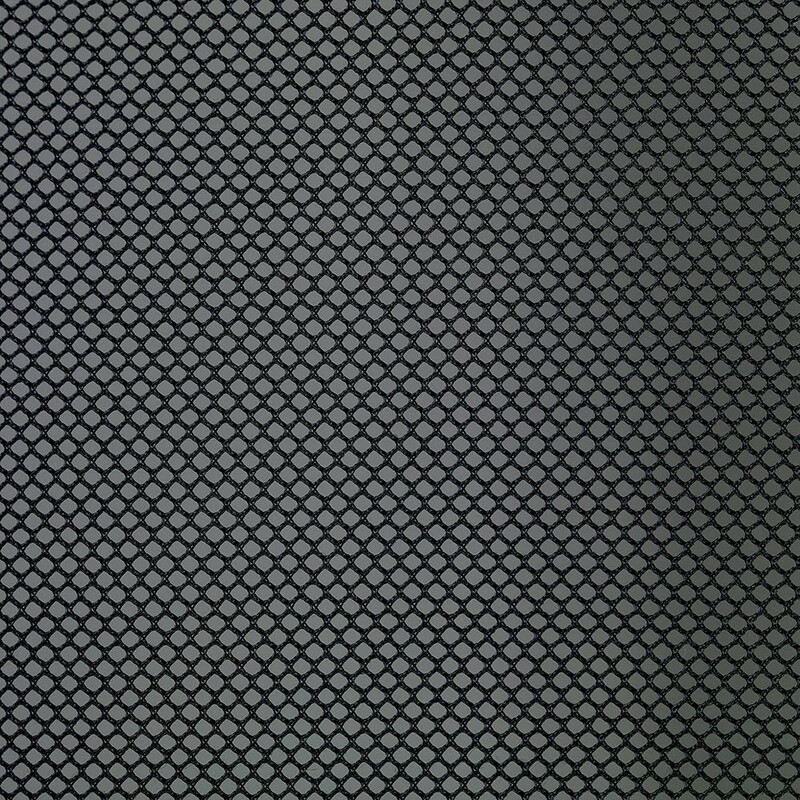 diameter: this safety net is especially designed for this size trampoline, that already has 10 2.7m net posts. - Fiberglass rods: this safety net is tensioned with fiberglass rods (not included). Warning, if your trampoline is not equipped with this system, you will not be able to install the safety net. - Secured opening: this safety net has a red flap door opening. You can close it with a Velcro strip and clips, for the utmost safety. - Ultra-resistant net: made with very fine polyester mesh and treated against UV rays for the optimal upkeep over time. Its tightened mesh prevents children from getting their fingers caught.